Somerset residents are urged to have their say on plans to upgrade the A303. 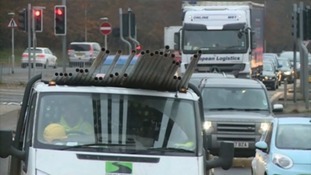 Highways England has launched a consultation on proposals to improve the single carriageway section of the A303 between Sparkford and Ilchester, including widening the road to a dual carriageway and improving safety of connections with the local road network. Councillor David Hall, Cabinet Member for Resources and Economic Development, welcomes the news and is urging local people to have their say by taking part in the consultation, which runs from 26 January to 9 March 2018. This consultation represents a huge step forward in the plans. Upgrading the A303 will provide significant benefits for both residents and businesses in Somerset and we are pleased to see that government has recognised the importance of this route. This is the final step before the plans are submitted to the Planning Inspectorate for approval and I would urge all local people to get involved, visit a local event and make sure their voice is heard.